Entry filed under: Odia language and literature, State Watch-Monitoring the Odisha State. 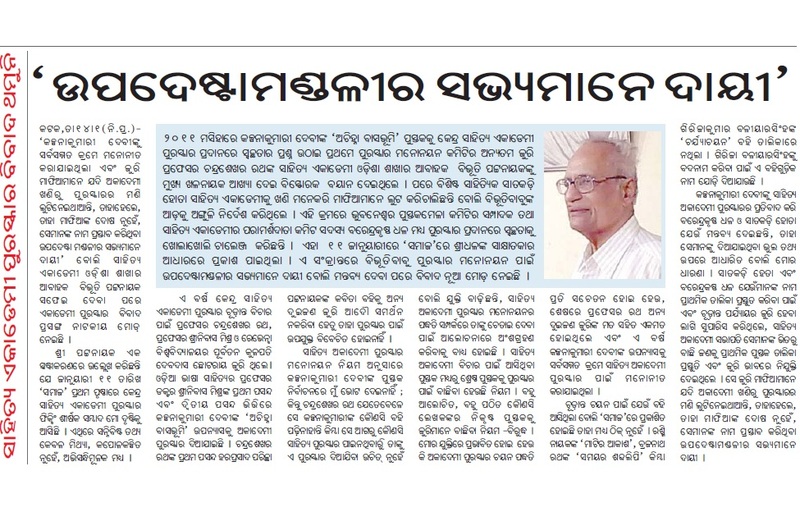 Really speaking we educated are acting like uneducated.sahitya ekadami,odisha is not regular in discharging its duty honestly.After selection of award it should not be questioned.What is fault with the person who has been awarded. Withdrawl of award is more pathetic than giving award to him/her.As such what happened it should not be repeated and the matter should be closed and dropped to keep our prestige.